Margot Kidder, best known for her role as Lois Lane in the "Superman" films in the 1970s and 1980s, has died at 69. The actress passed away on Sunday in Montana, according to the Franzen-Davis Funeral Home. 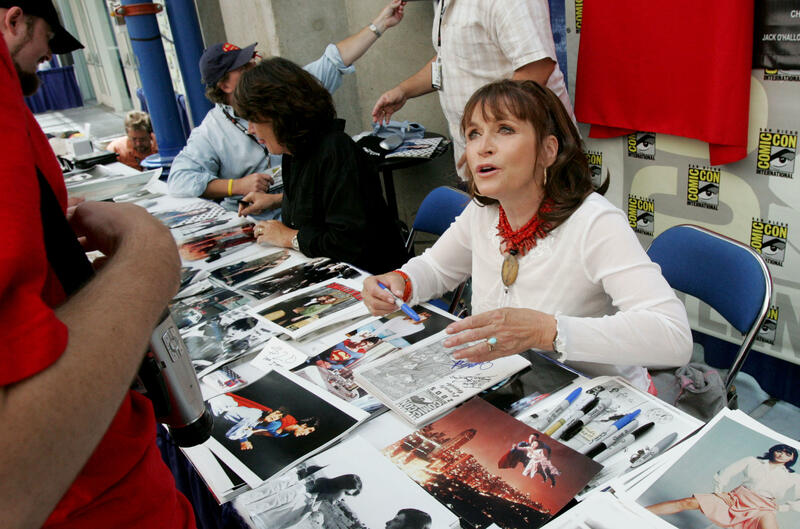 Kidder debuted as Lois Lane in 1978, when she starred opposite Christopher Reeve, and was also in the film's three sequels, "Superman II," "Superman III" and "Superman IV: The Quest for Peace." She acted recently in the film "The Neighborhood," alongside Danny Aiello, as well as other projects. An obituary from Franzen-Davis Funeral Home in Livingston, Montana, states that Kidder died at her home, and arrangements are pending under the funeral home's care. Kidder was close to her "Superman" co-star, saying, "When you're strapped to someone hanging from the ceiling for months and months, you get pretty darned close." When Reeve died, Kidder said, "I can't stop thinking about Christopher because he was such a huge part of my life. He was just such a great guy. …He was complicated, very smart, really smart, and he knew he'd done something meaningful. He was very aware of that and very happy with that role." The actress was rocked by struggles with bipolar disorder in the 1990s and had a breakdown in 1996, which led to a brief stint with homelessness. She spoke candidly about her experience afterward and advocated for destigmatizing mental health issues. The actress was married three times. Her last marriage was to actor John Heard, which ended in divorce in 1980. Kidder is survived by daughter Maggie McGuane. Stars mourned the loss on social media. Dean Cain, who stared on the "Superman" TV series, paid tribute to Kidder. Actress Sarah Douglas, who played villainess Ursa in the first two "Superman" films, paid tribute to her co-star.